Synopsis: It seems that the popular Marathi TV channel – Colors Marathi has no dearth of good TV shows as it launches the one after the other. 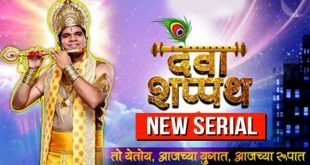 This time it is the new TV show called Balpan Dega Deva is making headlines, which will be starting from 5th of June 2017 aired on the prime time of 9pm sharp at the said channel for five days (Monday to Friday). The main lead of the said TV show include Eisha who will play the character of Anandi, while Vikram Gokhale will be playing the character of Anna. It has a long list of people behind the show like the director Ganesh Chavan while the man behind the cameras is Tribhuvan Babu. The music for the show is given by Chirantan Bhat, while the show is produced under the banner of Fantastic Fifteen. 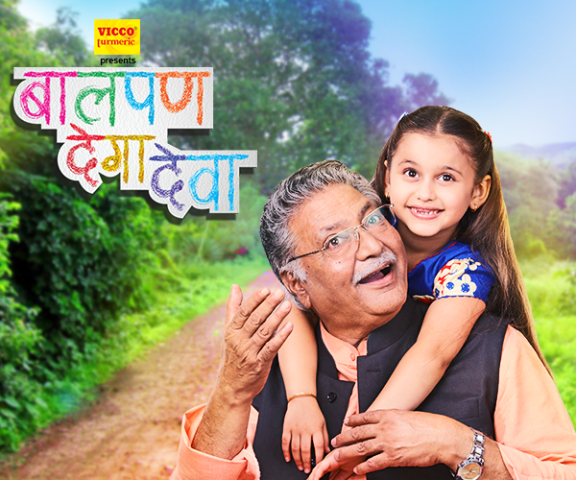 Story: The story of the show simply revolves around the relationship between a little girl Anandi and her grandfather Anna. In the show, we see Anna is keen to make his granddaughter called Anandi a doctor. He is then seen putting all his efforts to help in getting Anandi educated. 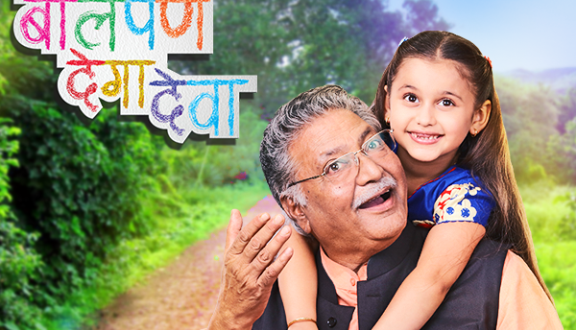 With several twists and turns, we see the story is about Anandi struggling in order to fulfill her dream of grandpa. The TV show Balpan Dega Deva is all set now to hit the small screen soon. Stay tuned to know about this TV show and others and don’t forget to revert with your comments and you never you will have surprise to check.